5 Reasons why you should be using motion design ! You wanna know what’s a cool way to communicate? It’s motion design. Motion design videos deliver engaging ideas in just a couple of seconds. The combination of unique brand-driven storytelling with visual communication and audio captivates and reaches people in different ways, allowing you to share and present your story with your audience. 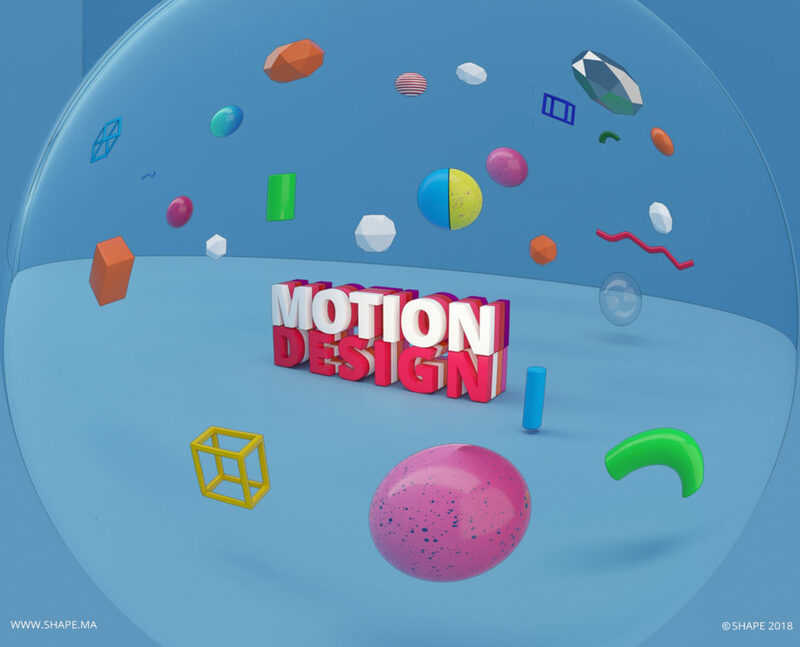 But first, what is motion design ? Also known as motion graphics, animation, and many other terms, motion design is an animated video, that includes 2D or 3D animations along with audios, music effects or voice-over. People usually get confused by it, not knowing if it is a cartoon or a simple video, but from now on we think everything will be clear for you ! Animation is a strong tool for marketers looking to enhance their strategies and stand out from the competition. Cisco predicted that by 2020, 80% of all internet traffic will be video – so the potential market for your video content is huge. So what are you waiting for? Maybe those reasons below will help you taking one step forward. Take a minute and think of what will your audience enjoy more? A simple video of a person telling your story to the camera – or what motion graphics can create? Which is a world without limitations where you can craft a truly engaging story. With design and animations, your story becomes more interesting and exciting. Motion graphics are attention-grabbing, they create an experience for your audience rather than just an informational session. Which make them the medium that drives engagement higher. The power of visual memory cannot be underestimated. Many things are easy to understand if you can see them. If your story is complicated to tell, it will be easy to watch. Through visual storytelling, motion graphics help break down complex information, delivering the message simply and clearly. Be different and unique in what you offer. Motion graphics are not limited, technology is evolving and you can create original and authentic neat videos. What’s better than just relax and let the video explain everything to you, without reading or making an effort. Motion graphics make it easier for the audience to consume, they prefer to watch than to read. We incorporate motion to improve the human experience, beginning with a general reflexion of what percussive elements to use to impact the users and how the elements are going to move and react to their interaction. While movements and animations provide personality, the content provides usability. Thinking in motion offers a different dimension to explore your story, your brand and products and makes your productions current, fresh and memorable.